Johnson is an English-born DJ who’s worked throughout Europe in many upfront clubs and major venues. The name ‘Groovemaster’ Johnson has always been synonymous with the more soulful and urban styles of dance music. Over the years he has evolved into one of Holland’s most respected DJs. In 1987 he was one of the main DJs responsible for the introduction of House music in the Netherlands. He also initiated Amsterdam’s first UK Underground Garage party in October 1997 at Milkyway’s Time Machine. The hype around both of these styles resulted in Johnson introducing these music genres all over Holland to venues, events & festivals such as Paradiso, Nighttown, Milkyway, Dance Valley, Innercity, Drum Rhythm Festival and many more. ‘Groovemaster’ Johnson started DJ-ing as a hobby. He has played (and he’s therefore been influenced by) Disco, Soul, Funk, Reggae, African, Salsa, Jazz-Dance, House (Classics), Hiphop and R’n’B. He was a resident DJ at the legendary Club RoXY from 1987 until the unfortunate fire & closure in June 1999. Together with the Soho Connection party organisation (a founder member, 1987 - 1990); he was responsible for Holland’s very first ‘warehouse’ parties. Johnson has always been an innovator and that still applies today. During the nineties, he acquired the name ‘Groovemaster’. This because of his tight, bouncy mixes combining intricate Latin rhythms during his sets at Club Havana ‘Upstairs’ and Club RoXY. 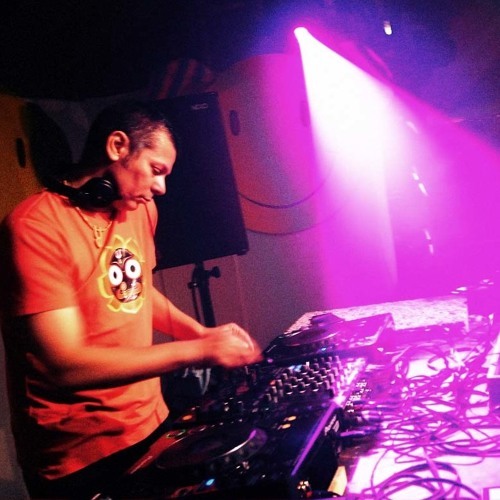 Nowadays, Johnson specialises in various styles of house (deep, soulful and/or funky), Jungle, House Classics and Latin house in the broadest sense and even a touch of traditional Indian. If specifically requested, he can incorporate various styles within his DJ set. The ‘Groovemaster’ has been involved as a producer with various projects; Black Tulip, MDA feat. Lilian Vieira, House against Hate & ‘Spark’ featuring vocalist Markell & MC Spyder. Johnson has also released quite a few underground tracks under various names; the most recent 2 collaborations are “Johnson Junior” and “Danny Dior & the Groovemaster”. He was also responsible for a whole array of mixed compilation CDs; ‘Upstairs at Club Havana’ (Volumes 1, 2 and 3 - 1989 - 1997), ‘Soul Children’ (1997), ‘Speed Garage’ (1998), ‘Urban Dancefloor’ (2000) and Bubble Club Vol. 1 (2000). In 1989, ‘Groovemaster’ Johnson represented Club RoXY for 3½ years on Amsterdam FM radio. This was followed up with a weekly nationwide show on N.E.W. Dance Radio entitled S.H.A.G. (Soulful House And Garage). A few years later the show evolved into The Bubble Club Show, broadcasted live nationwide on Colorful Radio. ‘Groovemaster’ Johnson’s Bubble Club was initiated by himself in November 1998 until 2003. Over the years, the Bubble Club grew into an event that strived to have two, sometimes three rooms of various music styles ranging from UK Garage and hip hop/R&B to Latin/soulful House and a touch of Junglistic Drum ‘n’ Bass. Because the events became too large Bubble Club decided to call it a day, with occasional one-off events. Nowadays, the Groovemaster plays the occasional gig but he has put his DJ-ing on a back burner in order to concentrate more on his studio projects. Johnson has more than 25 years of experience and if you’re lucky, he could be DJing at a venue or event near you!